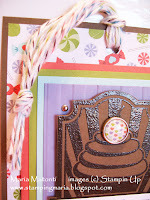 The tag is made with Soft Suede cardstock and measures 4" x 5 1/2"; she used the Pinking Hearts Border punch on the bottom edge. 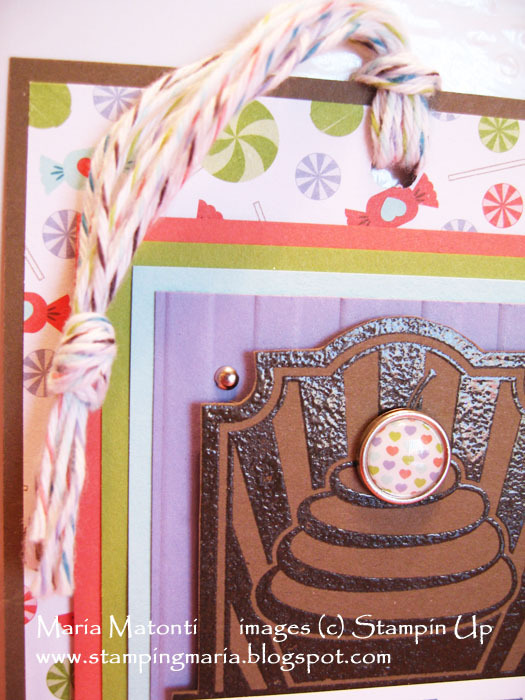 The other cardstock on the tag is Calypso Coral, Lucky Limeade, Pool Party, and Wisteria Wonder. 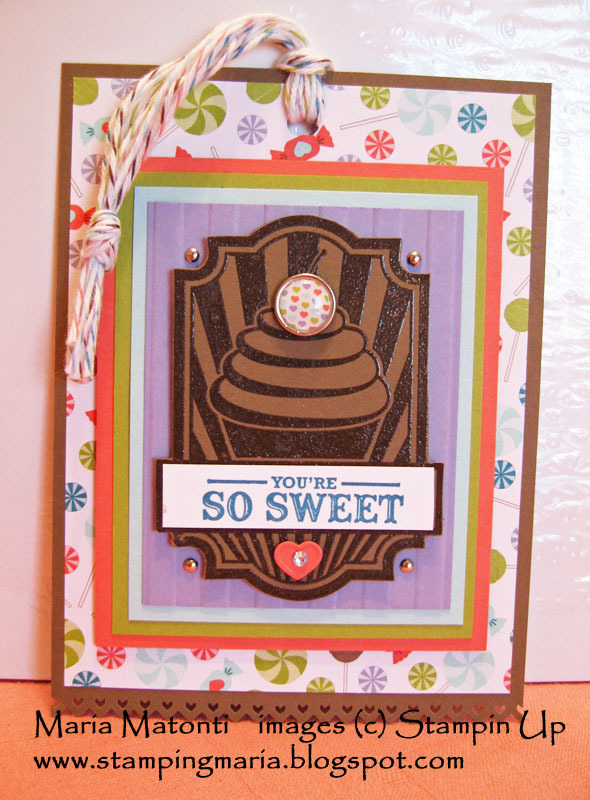 She embossed the cupcake using VersaMark ink and Clear Embossing powder onto Soft Suede cardstock then cut it out and added it to the Tag using Stampin' Dimensionals. 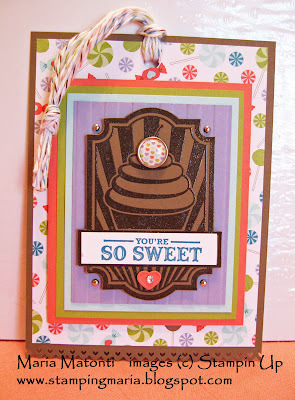 As a final touch, she added some cute Mini Brads, Rhinestones, and a heart cut from the new Fashionable Hearts Embosslit. Have a great day and thanks for visiting!